When Are Vegetable Juices Ineligible for CRV? 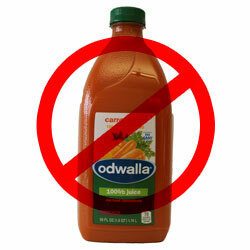 Vegetable juice containers that are larger than 16 ounces cannot be redeemed for CRV. It’s okay to recycle caps and lids on plastic containers, as long as they are still attached to their original containers.